MEXICO CITY, Mexico—Nov. 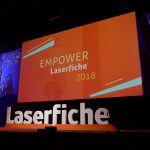 11, 2008—Laserfiche® today kicked off its Latin America technology conference in Mexico City at Hotel Nikko Mexico. Value-added resellers, customers, and potential customers from Baja California to as far away as Costa Rica are scheduled to attend. Laserfiche staff from the Long Beach, CA headquarters will teach participants how to best integrate the new Laserfiche 8™ suite of products, which includes Workflow™, a flexible framework for optimizing and automating business processes enterprise-wide; and Web Access™, which integrates with Microsoft Office SharePoint. 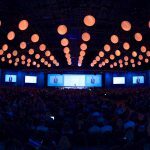 Special guest speaker Jorge Viquez, IT Director for the Department of Labor for San Jose, Costa Rica, will share how he created and implemented a strategic plan that includes a paperless workflow process for a complex organization. Some of Laserfiche’s key installations in Latin America include: the Government of the State of Yucatan, Mexico; Government of the State of Guerrero; Ministry of Energy, Peru; National Immigration Institute of Mexico; Secretaria de Planeación y Finanzas del Estado de Baja California; and Consejo Federal de la Judicatura Municipio de Tampico.